Product Site – the latest streaming technology news and reviews. Netflix now has 100 million subscribers worldwide; with more than half of the customers signed up outside the US. Younger viewers now prefer Netflix than BBC iPlayer. Barclays has launched a £100 million fund for shows on streaming platforms. Facebook live videos take aim at Twitch; streams live game from your PC. YouTube has unveiled $35-a-month live TV service. Sony PlayStation Vue launches multi-view feature allowing you to watch three streams on one screen at the same time. What is Twitch and why did Amazon buy it for nearly $1 billion? The new Nintendo Switch will not support streaming apps. China forbids streaming of Donald Trump’s inauguration. Netflix membership grows to 93.8 million. YouTube to start living streaming 360-degree video, reports have claimed. Virgin Trains launch a Netflix-style entertainment system allowing travellers stream films and TV programmes on demand. Has BBC Shot Itself in the Foot? BBC may become victim of its own success, Netflix exec suggests. Cable companies could lose US$1 billion in the next year to people cutting the cord, a top consulting firm has warned. Prince’s estate sues Jay Z’s Tidal over streaming rights to the pop star’s music. As music streaming continues to gain popularity, a number of audio-streaming services have been launched in recent years. But which one is the best for you? Music streaming is definitely on the rise. 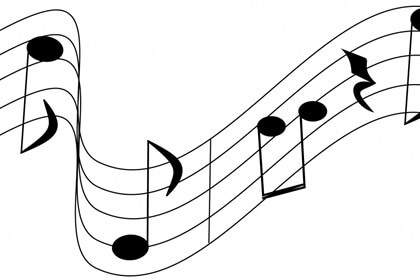 In the UK alone, over 25 billion songs were played in 2015 with another 26.9 billion streams of music videos on YouTube and other services. The number of competing audio-streaming services continues to multiply but which one is the best for your time and cash? 6G is a Wireless Internet Service Provider (WISP for short). As the name suggests 6G provides a range of broadband products using their own wireless "Air Fibre" broadband network. It is difficult to compare 6G with the more traditional Internet service providers as they do not use the BT Openreach network to deliver their service. 6G internet services are delivered through Wireless network connectivity so there is no reliance on underground cabling or flaky exchanges. The AppyTV is a streaming box that lets you access a ton of streaming options- think BBC iPlayer, Netflix, YouTube, Kodi. Enjoy your own library of media files on your TV screen - from a single platform. 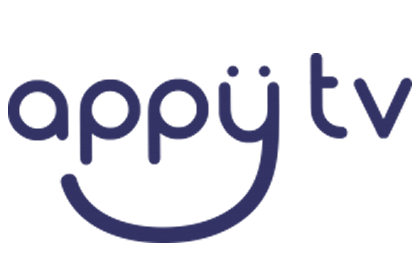 AppyTV has a built in digital tuner available as a Freeview or FreeSat configuration. Designed to provide unrestricted app based entertainment, the AppyTV claims to have it all: 1080p resolution, HD support, Dolby digital audio, a snazzy and functional Air remote control, and more than thousands of streaming apps and channels. Sky has launched Now TV in order to ensure it is not left behind by rival companies like Apple, Google, Amazon and Roku, all of which have been rolling out powerful media streamers to cater to the growing UK streaming market. Is the broadcaster onto a winner with this box? 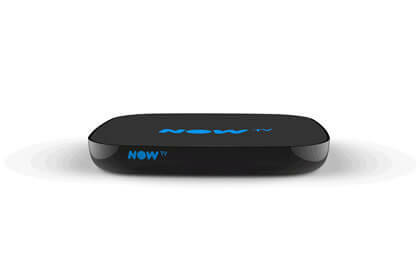 Or is the Now TV box a desperate attempt to stay relevant in the market? Let's review the latest device from the UK giant and see how it fares among the competition. 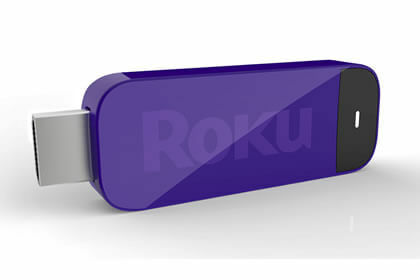 Billed as the Chromecast rival, the Roku streaming stick is an exciting device that packs all streaming goodness into a tiny frame, offering plenty of content at a fairly low price. Now that’s cool. But how does it stack up against the mini dongle from Google? The Roku stick stands out in that it doesn’t need you to fling content to it from a mobile device, but rather runs its own intelligent OS and apps to let you stream. 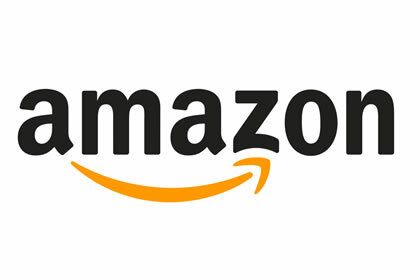 Amazon has joined the likes of Roku and Google as a provider of tiny, stick-like streaming dongles with the Fire TV Stick. Like the Roku stick and the Google Chromecast, the Fire TV stick is a tiny media hub that you can stick into your TV’s HDMI port and use like any other streaming device. It is a stripped version of the Amazon Fire TV, lacking its big brother’s excellent speed and built-in voice search enabled remote, but offering a cheaper price tag and a smaller form factor.